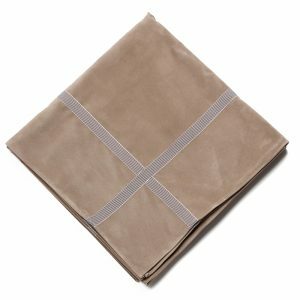 Available in 8 colors (Taupe, Tan, Burgundy, Hunter Green, Navy, Black, Wedgewood Blue, and Silver Gray) and 6 popular sizes, our elegant suede-like card (bridge) table covers make a stunning base for your card and game playing. 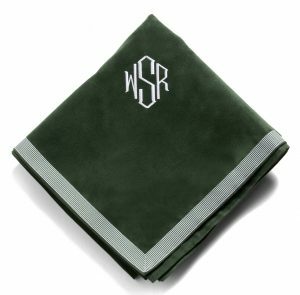 Highlight your own touch of style when you personalize your card (bridge) table cover with your initials in your choice of fonts. 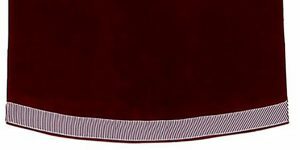 Each card (bridge) table cloth is enhanced with a matching grosgrain trim that provides a classic style for your gaming needs and your next bridge party. 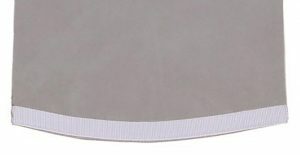 Hand cut and sewn in Baltimore, Maryland, each card (bridge) table tablecloth is made with high quality materials that will give you years of enjoyment. They are machine washable and easy to care for at home. Card table covers enhance your card and dice games by allowing cards and dice to slide without damaging your game table. Often used for bridge, poker, bunco and more, they will enhance games of all types. Scrabble tiles, Majong tiles and more! Allow your jenga blocks to fall with ease. 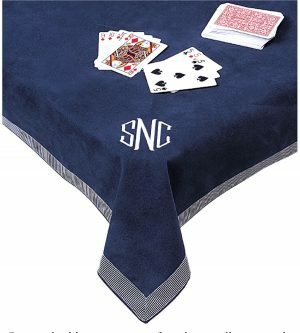 Because our card (bridge) table covers are available in eight (8) colors, and three (3) square sizes and three (3) round sizes (all colors and sizes are in stock), with four monogram styles, you can customize the tablecloth for your card (bridge) table to fit your home and lifestyle.